We are so excited to announce that the FOOD TRUCKS are coming to SYLMAR! 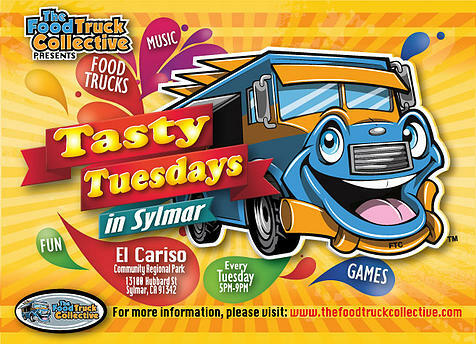 Join us as we start our very first TASTY TUESDAYS in SYLMAR! We will be gathering at El Carison Community Park with a great variety of some of the best Los Angeles Food Trucks! We will also be featuring music, games and more! Join us as we create a unique community event that brings neighbors, friends and families together to enjoy a beautiful night under the stars. We will have limited seating so we recommend that you bring a blanket or towel to have a picnic dinner.